Beautiful C300 SPORT 4-Matic has been INSPECTED, SERVICED & DETAILED including 4 BRAND NEW TIRES! Amazing Ride and Drive!! All wheel drive, Leather, Heated seats, Sunroof, telescopic steering column, Bluetooth hands free wireless, woodgrain!! Mercedes Star in the Grill! Clean CARFAX! Call 812-944-2277 we would love the opportunity to earn your business! Come see why we have been voted Floyd County BEST USED CAR DEALER, been in business over 12 Years! 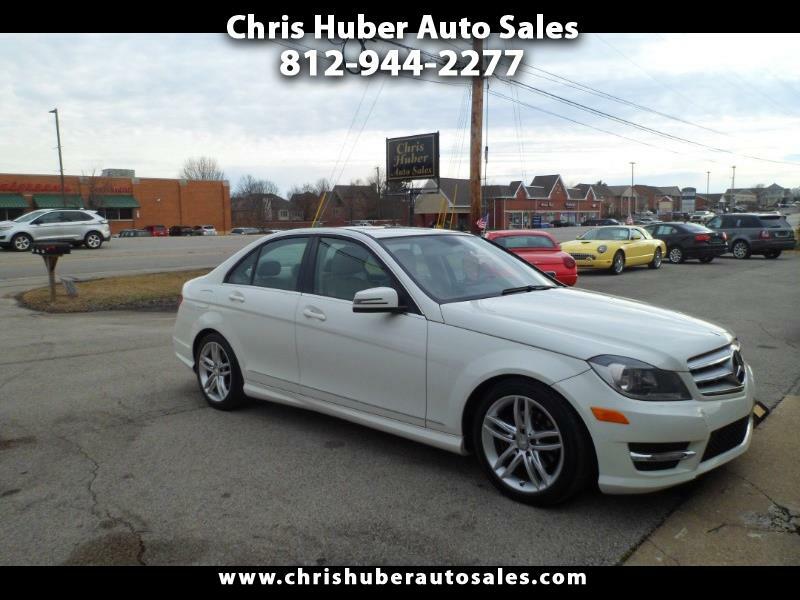 Visit Chris Huber Auto Sales online at www.chrishuberautosales.com to see more pictures of this vehicle or call us at (812)944-2277 today to schedule your test drive.